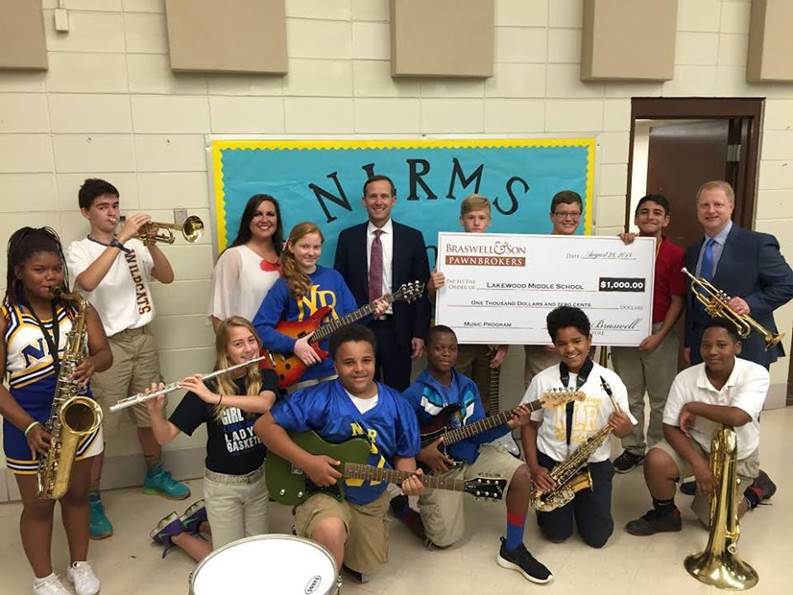 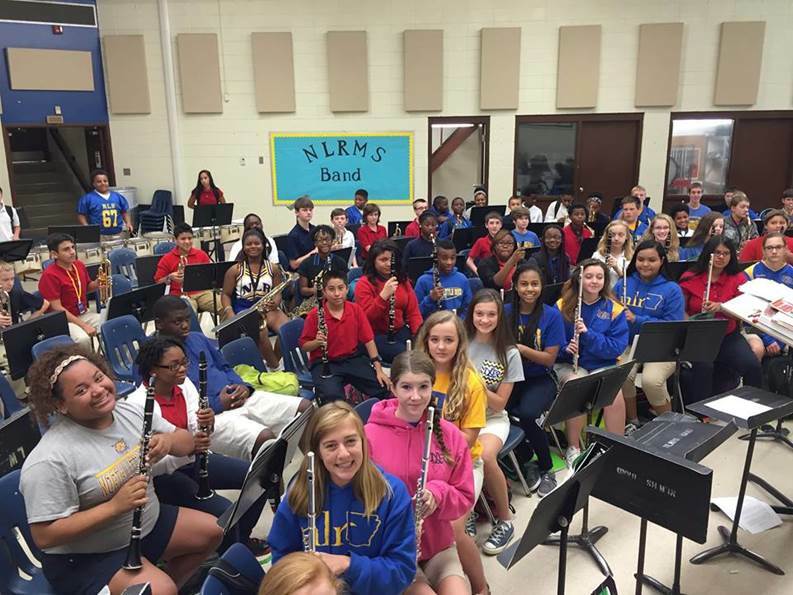 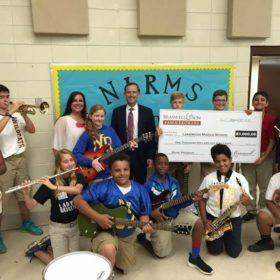 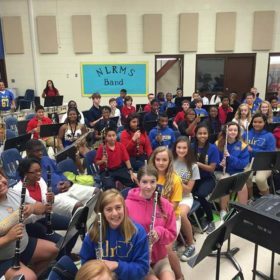 Douglas Braswell, of Braswell & Son Pawnbrokers in Central Arkansas, donated 20 musical instruments to North Little Rock Middle School and provided a $1,000 grant earmarked for instrument refurbishment. 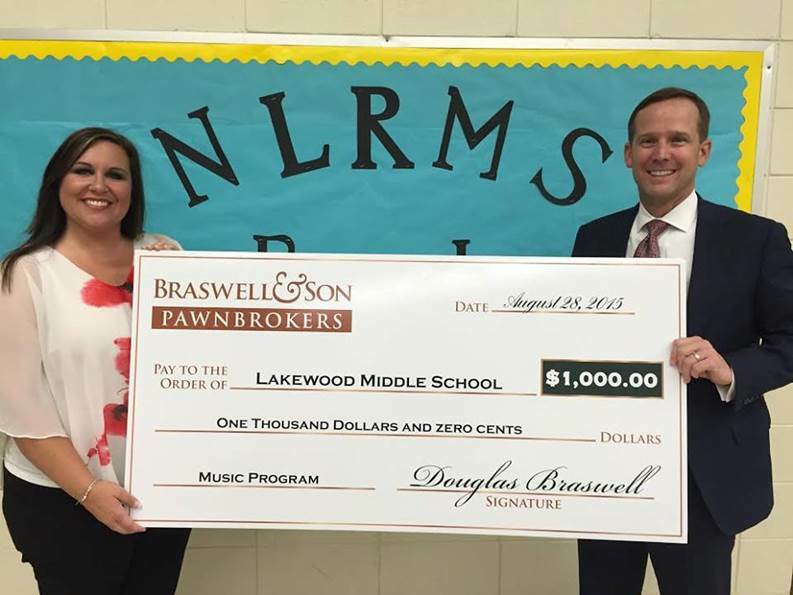 Braswell & Son Pawnbrokers has three locations in Conway and Little Rock, Arkansas. 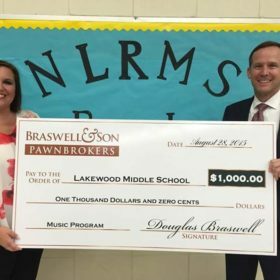 Mr. Braswell has made a commitment to contribute to the local community, annually.